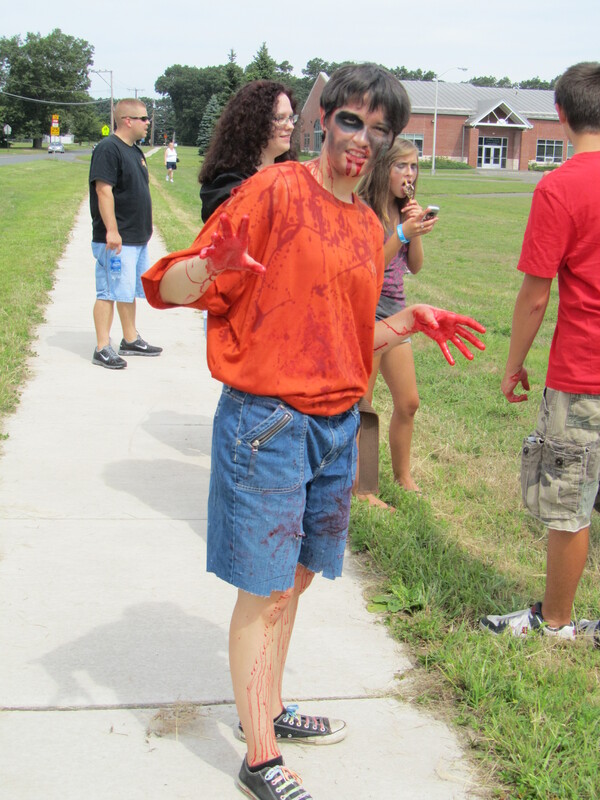 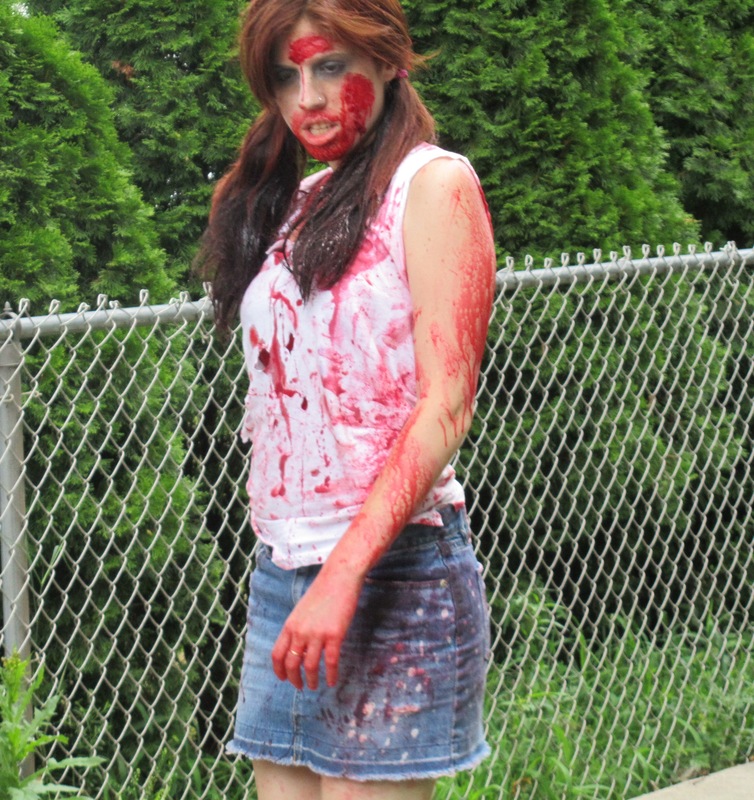 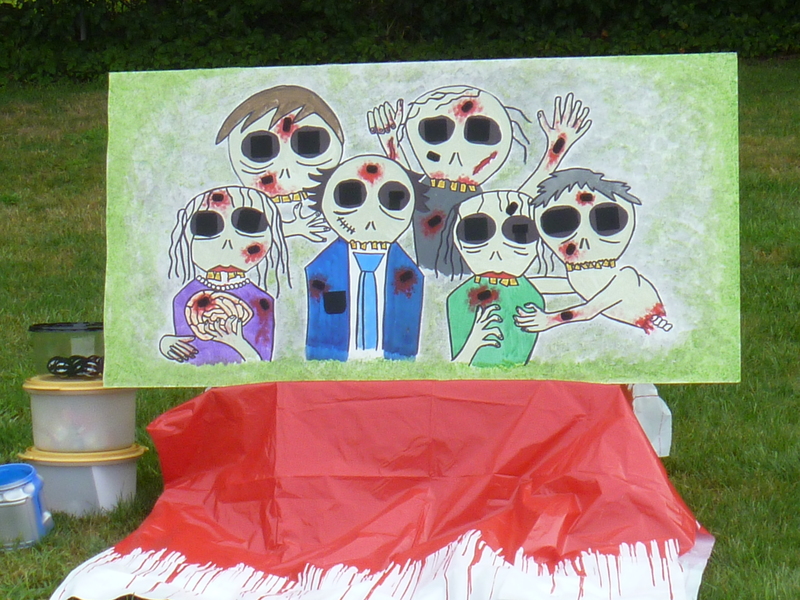 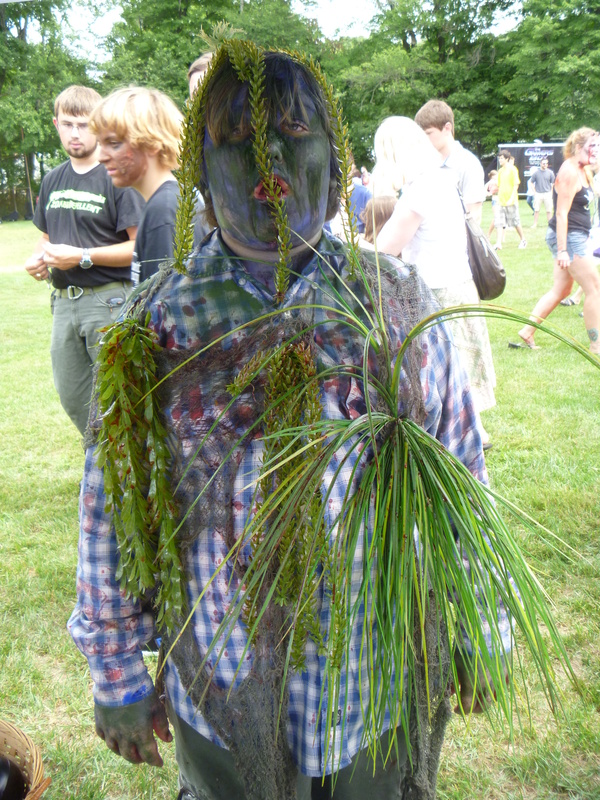 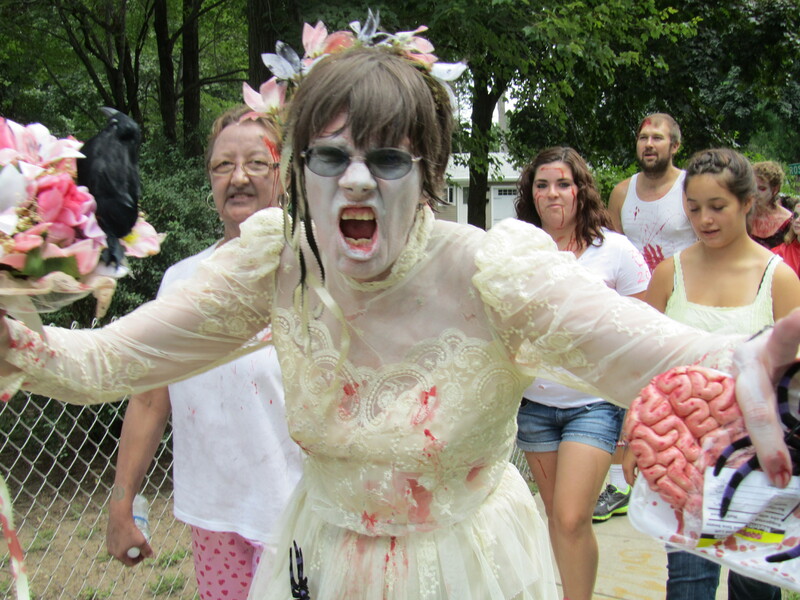 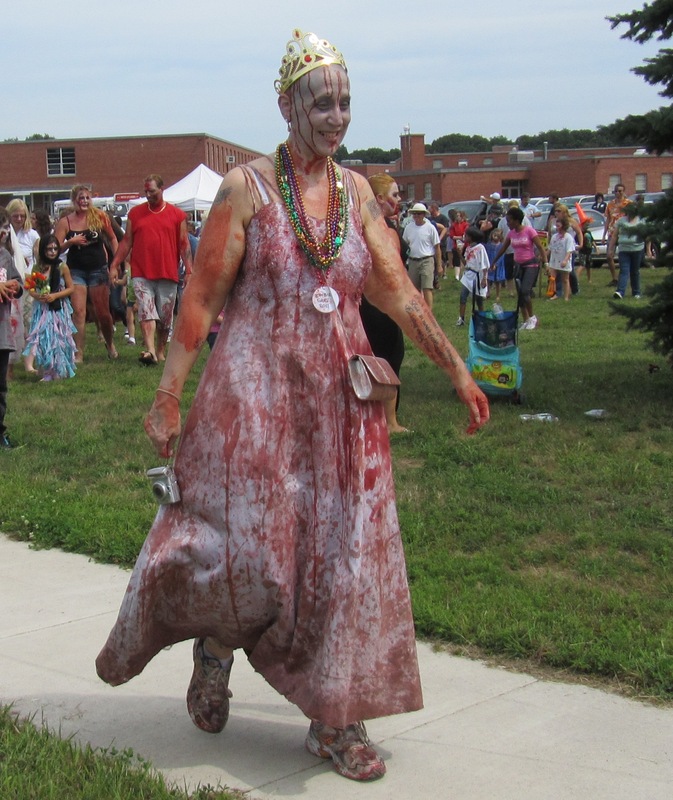 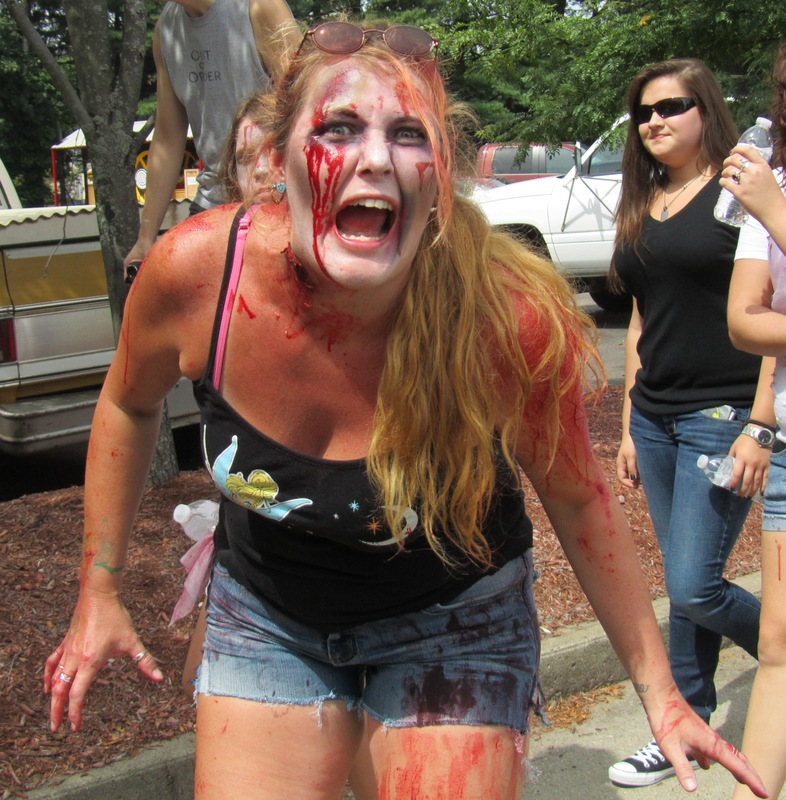 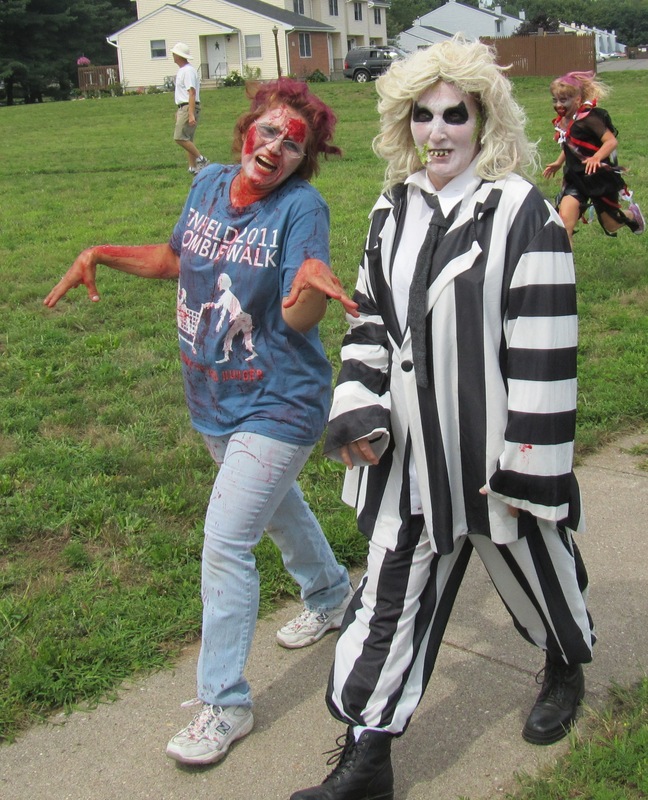 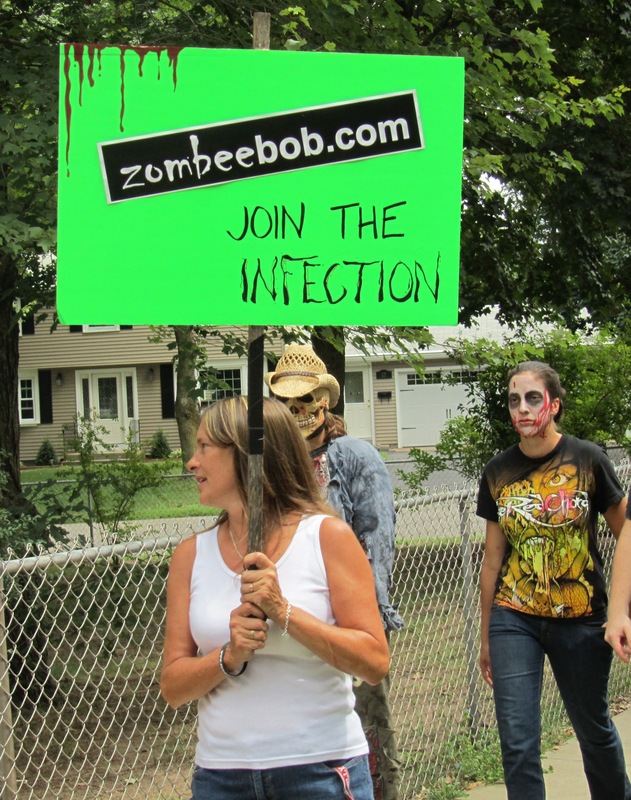 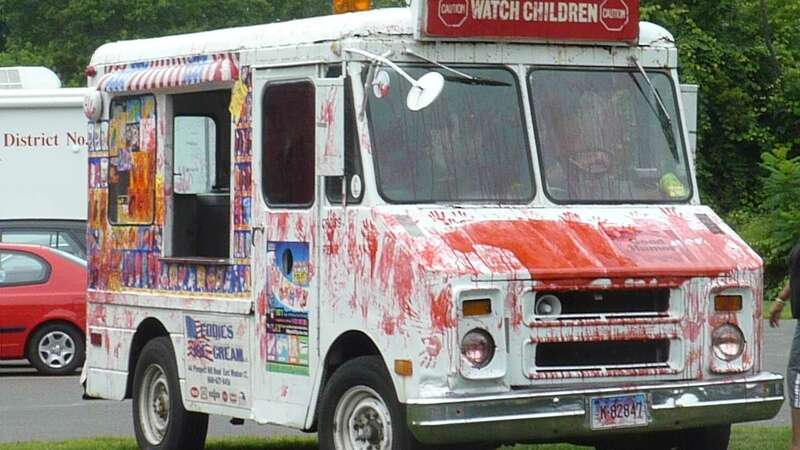 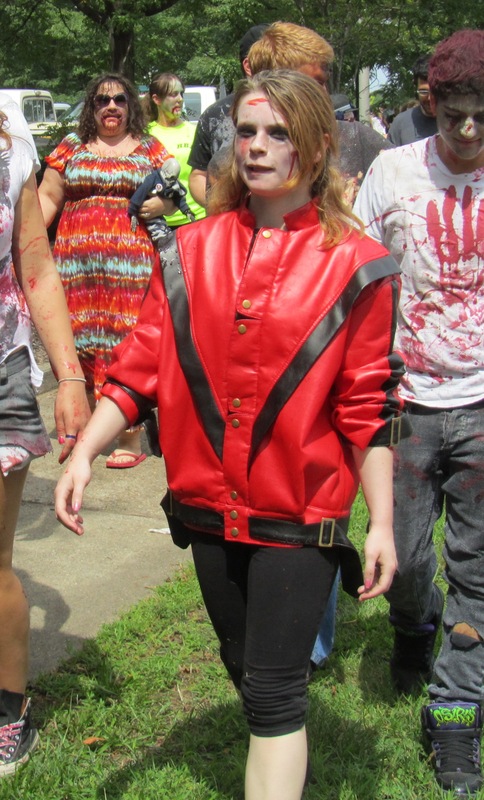 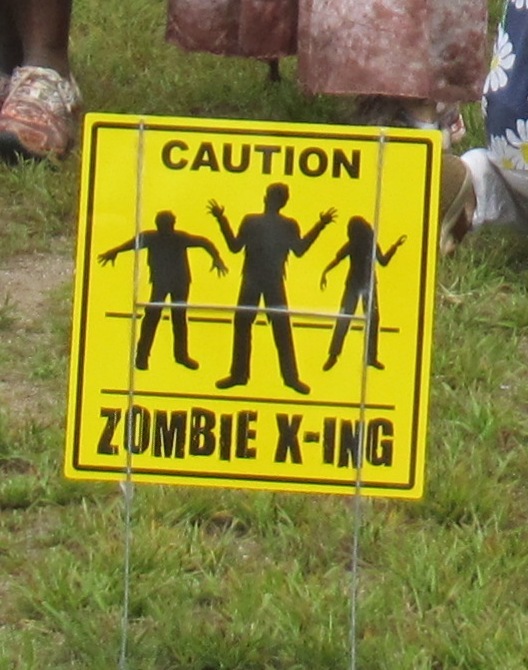 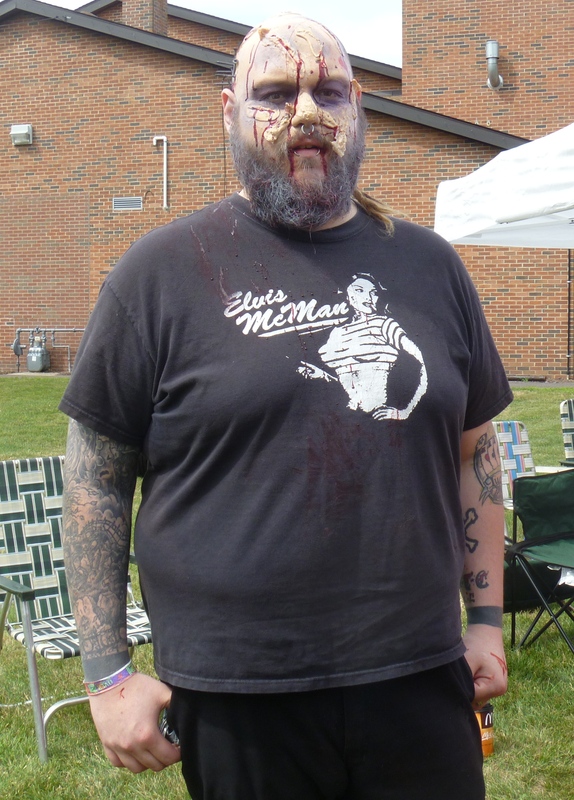 THE DEAD WALK IN NEW ENGLAND: ZOMBIE WALK FOR HUNGER HUGE SUCCESS, SKELETONS WAS THERE! 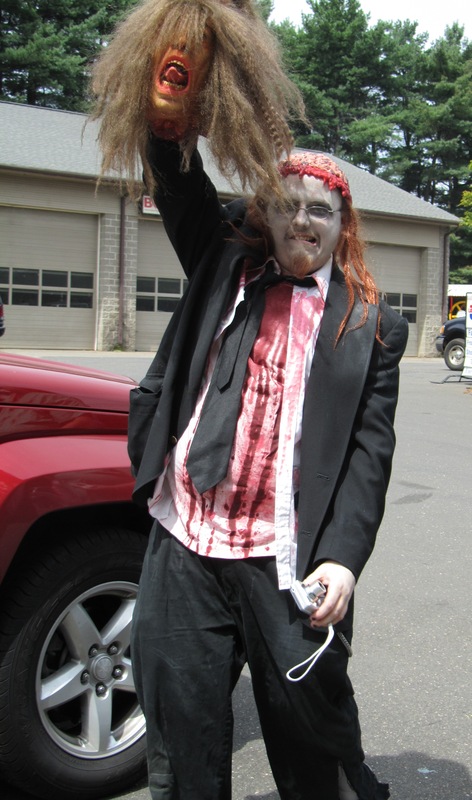 As for the NEHW, Jason Harris, Stacey Longo, D.G. 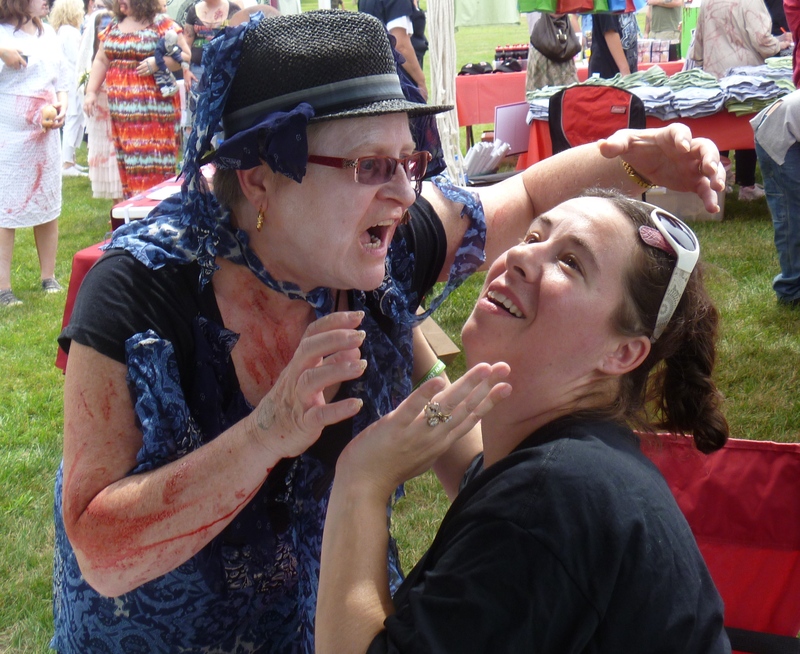 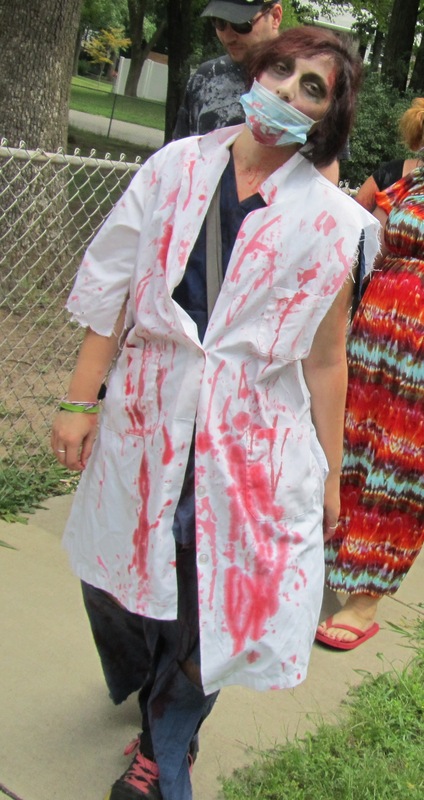 Sutter, Jennifer Yarter-Polmatier and I talked with lots of zombies. 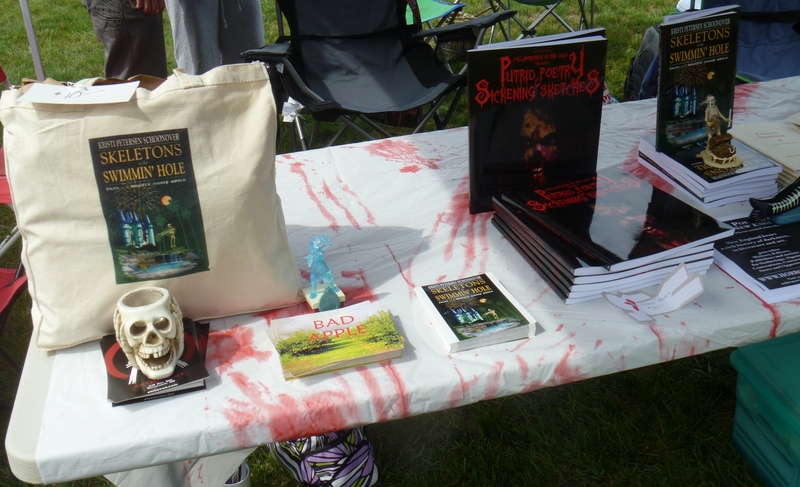 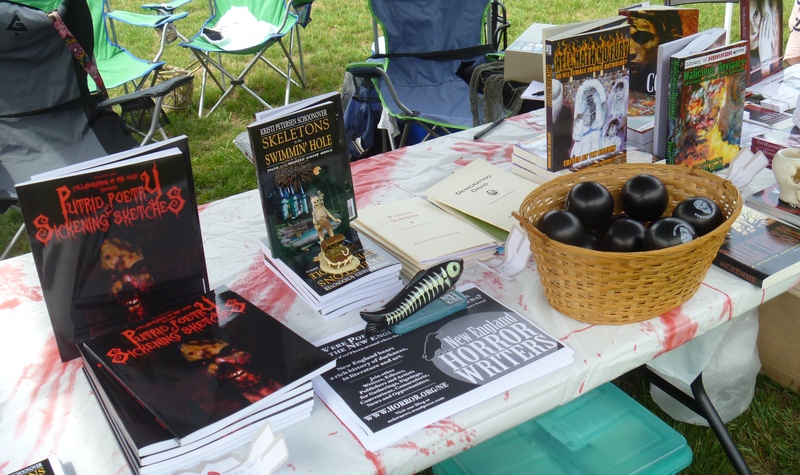 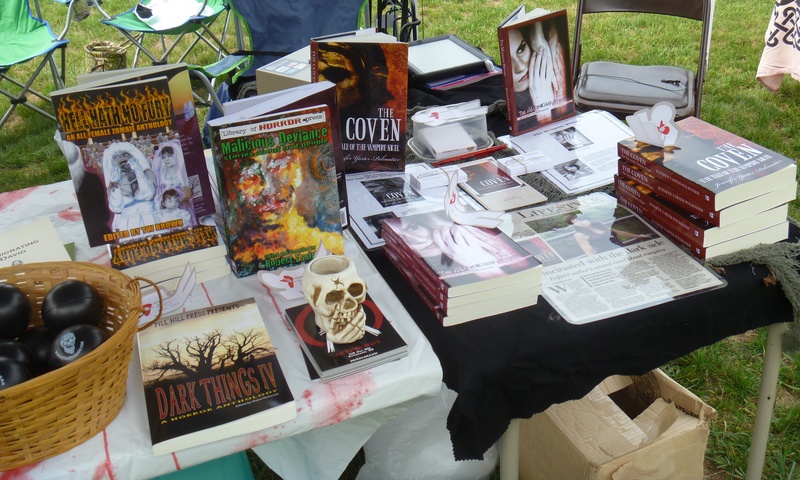 We sold several books, donated copies of both the Library of Horror Press’ Malicious Deviance featuring NEHW writer Stacey Longo’s short “Good Night Francine” and my Skeletons in the Swimmin’ Hole—Tales from Haunted Disney World to the event’s Tea Cup Auction, and generally…let lots of people know we’re out there. 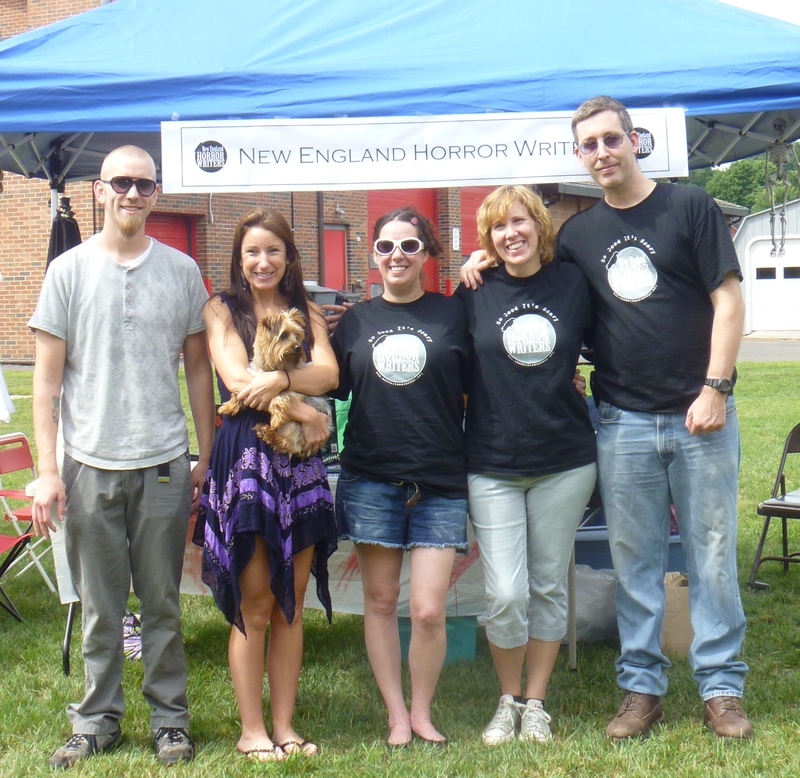 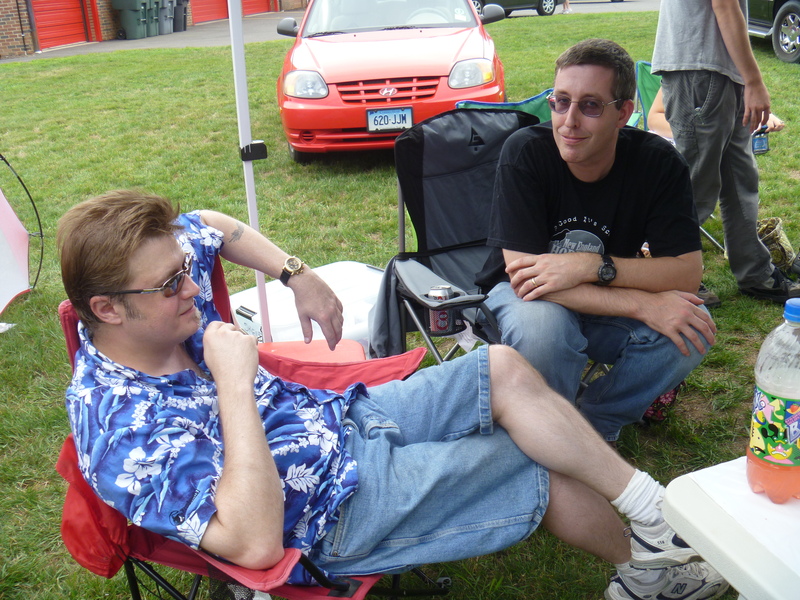 Enjoy the pix below…for more information on New England Horror Writers, visit www.newenglandhorror.org. 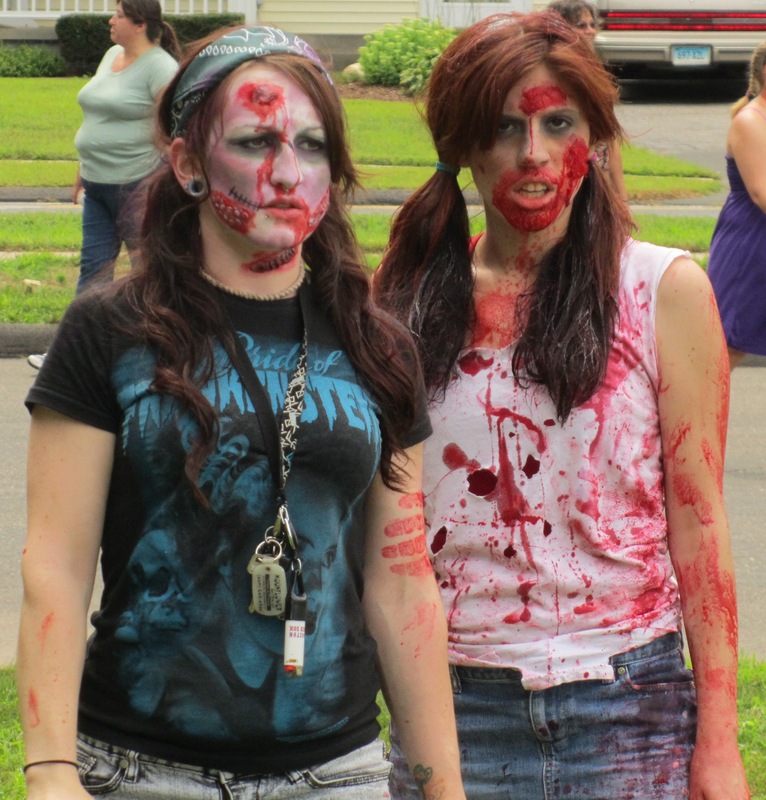 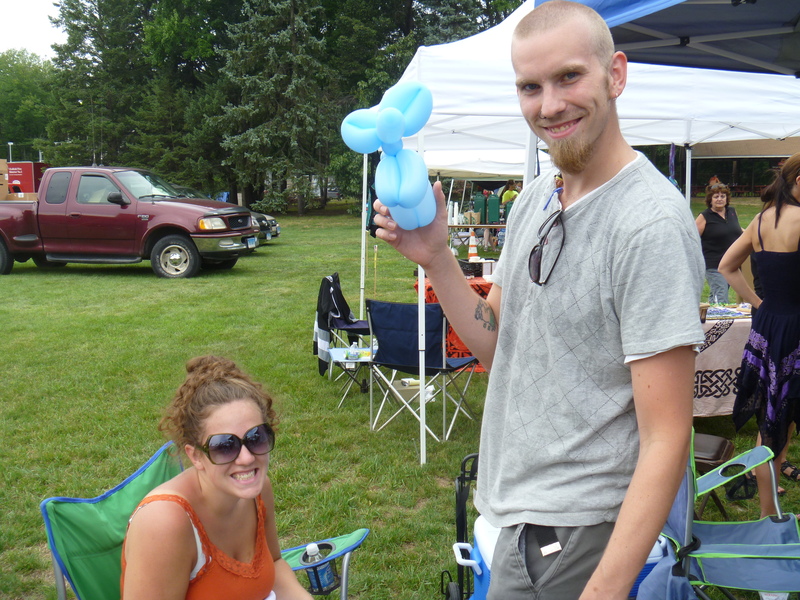 Flanagan, left, and Zombie BFF Brieanna Minor, of Coventry.